Home » Blog » Have You Considered What Is Living In Your Bed? Do You Suffer from Dust mite allergies, Asthma, Hay fever, Sinuses, Headaches, Poor Sleep? All these symptoms and more could be caused by your mattress and pillows. Control this by fitting Bedding Protectors, especially helpful in cases of incontinence. 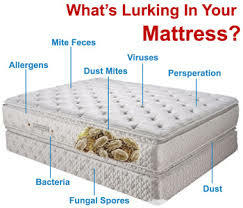 As many as 2 million dust mites have been counted in unprotected mattresses and it only takes 4 months for an unprotected mattress to become infested. 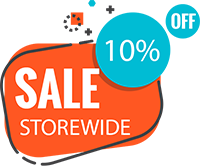 Did you know that after 10 years, if you’re not using waterproof protectors, you’re mattress & pillows will have doubled in weight from dead skin cells, dust mite faeces, body fluids, mould and fungus? Note: If you are using cotton quilted protectors they are not waterproof leaving bedding open to contamination. House dust mites can trigger respiratory or dermatological conditions including asthma and eczema. The main component of dust is shed skin flakes, which is the mite’s preferred food source. Areas around the home that are heavily used, such as beds, carpet and upholstered furniture, will have much higher mite populations than the rest of the house. One of the most common mites found around the house in Australia is the Dermatophagoides pteronyssinus, which tends to prefer coastal rather than inland areas. This mite has been associated with respiratory allergies in humans, such as eczema and asthma. However, there is no single, definitive sign that house dust mites trigger a person’s allergy symptoms. Asthma, for example, can be triggered by a range of other indoor allergens such as moulds or animal fluff from hair, fur or feathers. It doesn’t matter how clean your house is it is impossible to destroy your entire dust mite population, but you can dramatically reduce their numbers by following a few procedures. It is important to remember that the droppings of dead dust mites continue to provoke allergic reactions. You must not only reduce your dust mite population, but also take steps to remove their dead bodies and faeces from your home. Vacuum weekly, the use of a hepper filter vacuum is important to reduce the dust omitted from the vacuum cleaner. Encase your mattress, pillows and doonas with good quality encasements. This is very important for asthma and allergy sufferers as your beds are like a big bellows, every time you move on your bed a puff of dust is thrown up entering your nose and eyes causing irritations. Encasements are waterproof thus not allowing moisture, allergens and dust mites to contaminate your bedding.